March 11, 2011 — Watch Jon Meacham and Alison Stewart on PBS’ Need to Know as they examine public sector compensation levels. 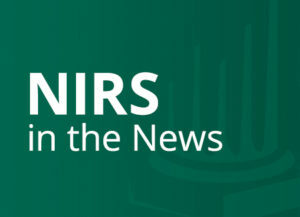 They cite NIRS “Out of Balance” study, which finds that public sector workers earn an average of 11% and 12% less, respectively, than comparable private sector employees. The analysis spans two decades to find that the pay gap between public and private sector employees has widened in recent years. View PBS Video.